Dazzling Darren Barker believes he can shock the world when he challenges Sergio Martinez for the Mexican’s WBC Diamond Middleweight title on October 1 at the historic Boardwalk Hall in Atlantic City, New Jersey, live on Sky Sports. The unbeaten European champion makes his debut in the States against the toughest opponent possible in his division. The 28 year-old says he is relishing the chance to test himself against the man known as “Maravilla”, and is banking on great travelling support to roar him to victory. “I cannot wait to get in the ring with Sergio Martinez,” said Barker. “I have massive respect for him as a fighter but he has the title that I have always wanted and on October 1 I’m coming to take it. 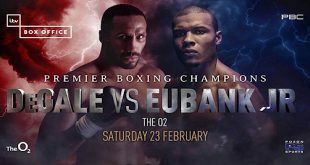 Barker’s promoter Eddie Hearn added: “Matchroom Sport have secured a block of seats for Darren’s fans in the Boardwalk Hall and we all know that British fight fans create a fantastic atmosphere when they travel to America. The co-feature will be a rematch of one of the most exciting fights of 2008, as NABF and NABA middleweight champion Andy Lee (26-1, 19 KOs) attempts to avenge his only loss against the newest member of the DiBella Entertainment stable, Brian Vera (19-5, 12 KOs). The show will be titled “Noche de ‘Maravilla’”, which translates to “Marvellous Night” in English, a tribute to Martinez’s nickname and the exciting style of fighting all four featured fighters employ in the ring. “Sergio Martinez has never backed down from a challenge, challenges only back down from him,” said Lou DiBella, President of DiBella Entertainment. “This show is about fighters proving themselves when it matters the most. Sergio Martinez is a superstar with more momentum than anyone in boxing, but he must knock off the European champion, Barker, to keep it going. Martinez, 36, a native of Quilmes, Argentina, and now living in Oxnard, California, is coming off a 2010 that can rival any year any fighter has had in a long time, with both of his spectacular wins taking place at Boardwalk Hall. 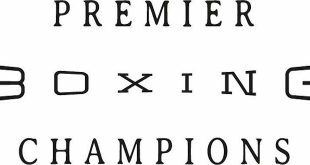 In April, Martinez dominated the heavily favoured Kelly Pavlik over 12 rounds to win the unified middleweight championship. He followed up that performance in November by putting an exclamation point on his rivalry with Paul Williams by knocking Williams out cold in the second round of their rematch of the 2009 Fight of the Year. 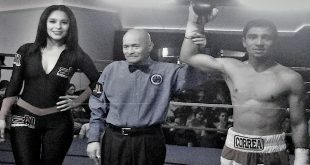 Despite being lauded by publications far and wide as the 2010 Fighter of the Year, Martinez didn’t rest on his laurels, beginning 2011 with a bang when he took on the universally recognized 154 lb. champion, and then undefeated, Sergiy Dzinziruk. Martinez dropped Dzinziruk, who had never before tasted the canvas as a professional, five times en route to an eighth round stoppage win. “It is an honour to be returning to HBO for the second time this year,” said Martinez. 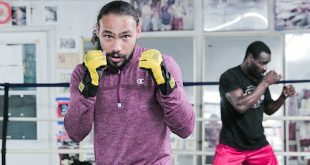 “Just like my nickname and the title of the show say, I will put on a marvellous performance for fight fans worldwide.